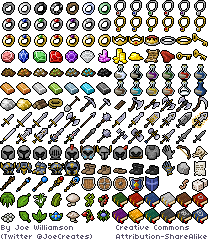 A set of 16x16 items for roguelike and rpg games. If possible, please link to my twitter (@JoeCreates) when giving credit. Thanks! Precise, beautiful, clean. 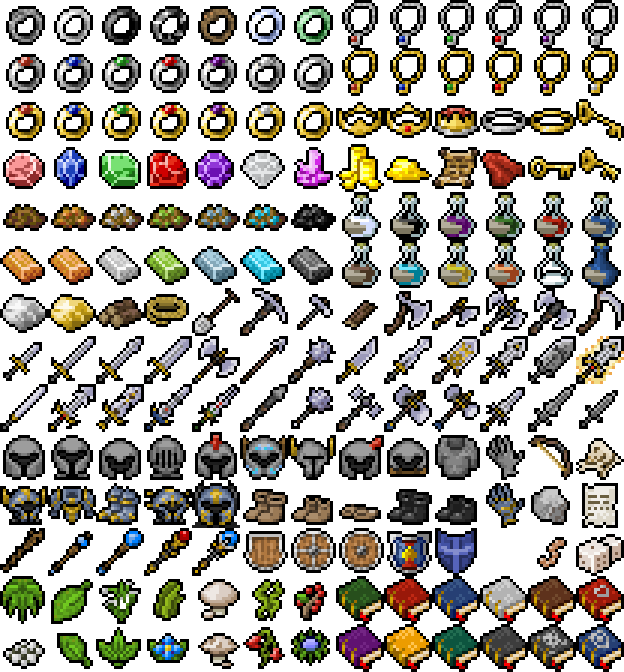 This set has everything to give ideas for roguelikes! 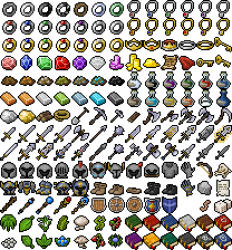 I could see using some of these in MineTest, too, especially those ores and tools.